The Pittsburgh Penguins became the first team in this century to successfully defend the Stanley Cup. 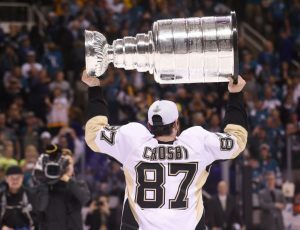 Sid the Kid and the Pens will now have their sights set on a three-peat as the new NHL season edges closer and closer. The Pens may be odds-on favorites, but they will also face a stiff challenge from the Washington Capitals and Edmonton Oilers, who are not that far behind. Let’s take a look at each of the top three contenders’ chances of lifting the cup. 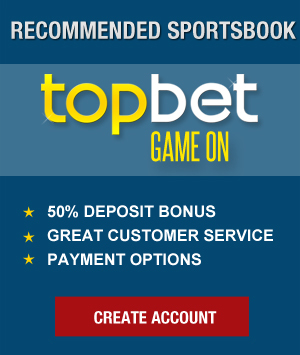 And if you’re still in search of a viable sportsbook site for your betting thrills, head on over to our very own sportsbook review section for some tried and tested online bookies. The Pens have simply been in a different class during the Stanley Cup playoffs over the past couple of years. No matter their goalie or who they lose to injury, they just seem to always find a way to come out on top. Sidney Crosby remains a big reason why they’ve been able to be so resilient, of course. He, Evgeni Malkin, and Phil Kessel lead the most feared attack in the game which features speed, skill, and experience. However, to ask this team to make a cup run for the third straight year would probably be asking too much. At some point, their gas tank (not to mention their luck) will have to run out, and they likely fall short of the three-peat. To the surprise of no one, Connor McDavid is living up to the billing as the league’s next big star. In just his first full season (and second overall), McDavid posted 100 points to win the Hart Trophy en route to leading the Oilers back to the playoffs. The team broke the bank to retain Leon Draisaitl, who should help alleviate some of the pressure off of McDavid. But even at age 20, McDavid is already good enough to carry the Oilers to the cup. While Edmonton might not look to have quite enough depth to make an extended run, bet against McDavid at your own peril. Last year was supposed to be the year the Caps put it all together. Even with superstar Alex Ovechkin slowly starting to slow down, they got contributions up and down the team as they won another President’s Trophy. However, they once again couldn’t find a way past the Pens in the playoffs. At this point, only a delusional maniac would continue to bet on the Caps to overcome Crosby. But if something were to happen to Crosby, the Caps appear to be team best-equipped to take advantage of his absence and make it to the final.